As the seasons change, I am faced with my usual spring to summer battle. Every year, I seem to be on the same quest. As the weather gets warmer, I go through the daunting search for the best foundation to stand up to heat and humidity. For some, heat and humidity are an all year round forecast so you are constantly prepared. But for many of us, the seasons sneak up each year to challenge us with this annual transition. This mission usually involves testing many different formulas in an endless attempt to find one that won’t melt off my face, hoping to find that special one before summer ends. Do you have this problem too? Don’t worry, we’ve done the research for you! We’ll talk about what to look for in a foundation that can hold up to the weather – no matter your skin type. Get ready for your warm-weather beauty routine with our tips on using SPF with your foundation, application tips to keep your makeup from budging, and the best foundations for heat and humidity. Keep reading to learn more. Heat and humidity have a big impact on how your makeup behaves throughout the day. It is not uncommon for these weather factors to make your foundation lose longevity and fade faster than normal. If the weather is hot enough, and you aren’t using the right products or taking the right steps, you may end up with your foundation melting off of your face before the day is done. We all sweat. No shame. Unfortunately, sweat and makeup do not play well together, causing your beautiful canvas to slide right off of your face. So, what do you look for in a foundation that can stand up in the battle against heat and humidity? Well, one of the first things you want to look for in a foundation that you will be wearing daily through this kind of weather is a light-weight formula. That will help you feel like you have little to no makeup on, making you more comfortable in the heat. Oil-free formulas are also comfier for all day wear and are less likely to produce extra shine on your face. Be cautious of foundations that are “full coverage.” Full coverage foundations are known to be heavier and may feel uncomfortable on the skin through the heat. Tip: Any foundation, specifically full coverage foundations, can be mixed with a moisturizer or serum to sheer it out and make the product feel lighter on the skin. The amount of coverage you want can be adjusted by simply adjusting the amount of foundation used. 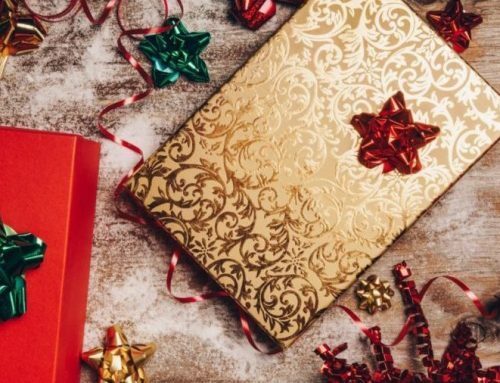 Bonus: If you have acne, or any other skin concern, adding your skincare products, moisturizer, or serum that is meant to treat these problems will have your makeup doing double duty. Remember, foundation is supposed to even out your skin tone. It is not meant to cover all of your imperfections, that is what concealer is for. You can always spot conceal any blemishes, scars, or other marks you want to disappear. This will limit the amount of product that you apply to your face and give you a more natural finish. There are other words you want to look for when choosing a foundation for humidity and hot weather. Foundations that are “transfer- resistant”, “water-proof”, or “sweat-proof” have a lot of longevity, no matter the situation. Look for foundations that claim “all-day wear”, “24-hour wear”, or really any number of hours of wear. These products usually don’t hold up to their claims of lasting a full 24 hours, but they will do a great job of holding up to the elements. Silicone formulas are also some of the best foundations for heat and humidity. Even though there is some controversy about the negative effects of silicone and how it affects your skin, it is a good option for use every so often. Although there are some specific attributes a foundation needs to stand up through tough weather, it is also important to keep in mind your skin type. A liquid foundation is the easiest to work with in the summer. It is the most versatile as you can easily sheer it out and you have much less of a chance of appearing cakey. But this doesn’t mean you shouldn’t consider powder at all. 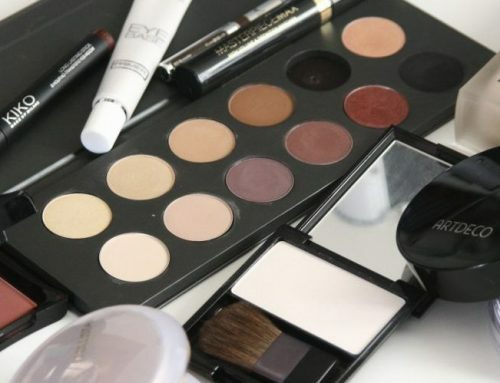 For our beauties with oily skin, powders may be exactly what they are looking for. Those with oily skin are going to have the hardest time fighting the heat and humidity. Their body naturally produces more oil, combine that with sweat from the heat and it is the perfect situation for your makeup to slip and slide. Powders are usually better at absorbing excess oil and sweat. Reapplication throughout the day is very simple if you do become a little oily. They can also provide beautifully natural coverage that lasts all day when applied correctly. Loose or pressed powders are a great option to fight the heat and humidity for those with oily skin. We recommend lightly buffing the product onto the skin in circular motions. Tip: The denser the brush you use to apply powder foundation, the more coverage you will get. Dry skin lovelies, this is your time to shine, well glow. The summer is a perfect time to wear dewy foundations to make you look like a glowing beach goddess. Foundations that use words like illuminating, glowing, and dewy are usually more moisturizing, making them perfect for those dry skin. Keep in mind, although your skin seemed dry in the winter it may become oily in the summer. See how your skin reacts to the change in weather before splurging on a foundation to avoid looking like an oil slick. Not into the illuminated look? Make sure that you are still using a hydrating foundation, even though it is gross outside. Those with dry skin will benefit the most from multipurpose products like BB creams, CC creams, and tinted moisturizers. For normal skin, you have almost free range of what type of foundations you can wear. Just keep in mind the tips above and make sure that you choose a good quality product, see our picks below. Combination skin may want to combine the use of products. For example, use a tinted moisturizer to tend to their dry spots but powder their T-zone where they tend to get oily. Make your products work for you. Want to do more than just even out your skin tone? Try using a BB cream, CC cream, or tinted moisturizer. These products are meant to even out your skin tone, while giving you the extra benefit of skincare. They can color correct, help reduce signs of aging, vitamins, antioxidants, primers, SPF, extra hydration, while providing coverage. BB cream stands for beauty or blemish creams and CC cream can mean color correcting cream or correction cream. Many tinted moisturizers contain skin loving ingredients and some even target specific concerns. BB creams are usually the sheerest of the three formulas. SPF is essential to a healthy skincare routine. It is needed to protect the skin from the damaging UV rays. Too much sun exposure can result in dark spots, other signs of ageing, and possible skin cancer. Most of us know about applying SPF before your moisturizers, but did you know that in order to be properly protected you need to reapply your sunscreen while you are out in the sun? According to skincancer.org, you should be reapplying sunscreen every 2 hours while you are out in the sun. 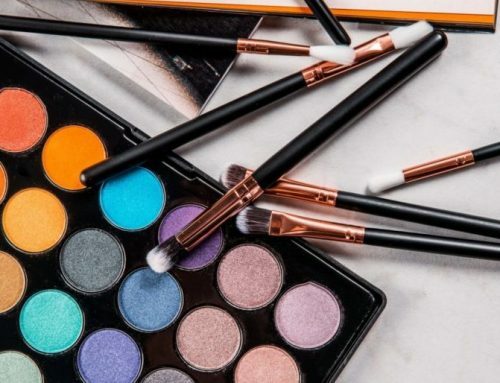 You may be wondering, “how do you do this without messing up your makeup?” Well, there are ways to keep yourself protected and not ruin your flawless makeup. Be sure to apply your sunscreen after your moisturizer. If your moisturizer has an SPF, then you don’t need to apply a separate product. TIP: Make sure you apply enough of the product to get the protection that you need. This is especially important when using a moisturizer with SPF. Some makeup contains sunscreen, but that is usually not enough to protect you by itself. So it is still best to apply sunscreen before your makeup. Check out this article from WebMD to see what to look for in makeup with SPF. To properly protect yourself there are a few different products that you can use. There are setting sprays that contain SPF. This will help your makeup last longer while providing protection. Powder sunscreens are also available and make reapplication easy. They come in pressed or loose powders that you can dust over your makeup, without disturbing your beautiful hard work. One important secret to keeping your foundation on through heat and humidity is proper application. Even though you are using the best foundation for heat and humidity, improper application can ruin your look. If you don’t take the proper application steps, you may find your foundation melting. Here are the steps to follow to ensure your makeup will last all day. 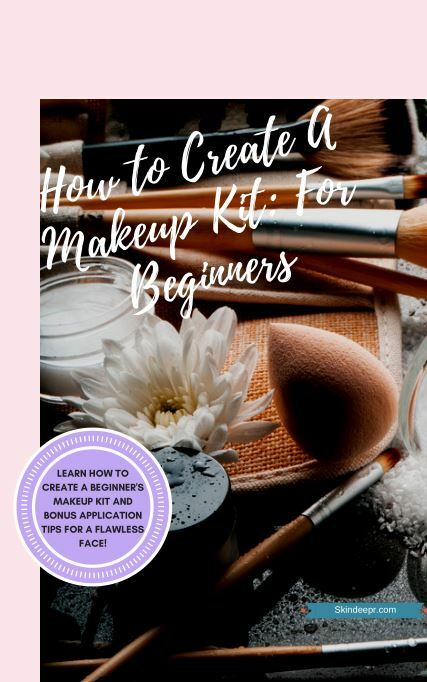 Step 1: Start with a cleansed and toned face. Using a toner will ensure that you have a balanced complexion that is ready for makeup. Step 2: Then apply the rest of your skincare. Start with your serums, then apply your moisturizer. If your moisturizer doesn’t contain SPF, apply your sunscreen. Step 3: Now it is time to prime. Using a primer will increase the longevity of your foundation. If you have oily skin, this step can be especially important. TIP: If you have dry skin, try to apply your primer with a damp beauty sponge. Use the sponge to press the primer into your skin. Pressing the primer into the skin instead of rubbing it will not irritate the skin and cause dry skin to become flaky. Step 4: Once you are primed, it is finally time to apply foundation. You can use your fingers, a sponge, or a brush. Remember, that less is more for hot and humid weather. Step 5: If there are any areas that you want to cover, spot conceal these areas with a small brush. Step 6: It is necessary to properly set everything into place. Using a setting powder will help to lock everything into place. Press the powder into the skin instead of buffing or swiping the product onto your face. By using this technique, you are able to apply the powder without disturbing your foundation. TIP: For those with dry skin, you can still set your foundation with a setting powder. Do a very light dusting of a hydrating setting powder to keep your foundation in place. A setting spray can also help to set up your makeup stay throughout the day. It can easily lock in your foundation and prevent creasing and fading. A setting spray can also make your powder appear less cakey. TIP: Those with oily skin can help combat shine throughout the day by carrying blotting papers in your bag throughout the day. They are perfect for a quick touch up. Now that you know what to look for in a foundation to last through heat and humidity, how to protect your skin, and proper application, let’s talk about the best foundations. This cult favorite 24-hour wear foundation can hold up to heat, humidity, and much more. This product is waterproof, fade-proof, and transfer proof. This highly pigmented, full coverage foundation can be easily adjusted by changing the amount of product you use. A little goes a long way. It provides great coverage while still looking naturally flawless. It comes in 30 different shades, so you can easily find one to match your skin tone. 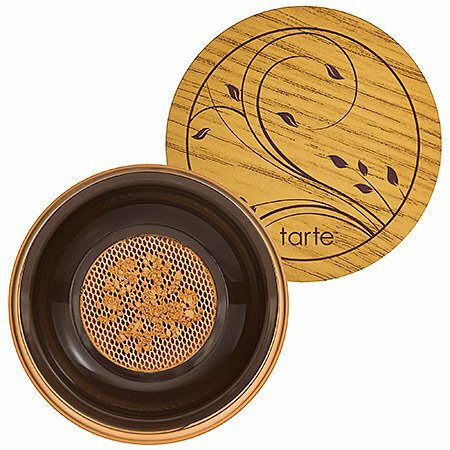 Tarte created a 12-hour wear powder lightweight foundation that is perfect for beating the heat. This full coverage, waterproof formula gives a beautiful, flawless, and natural finish. The Amazonian clay helps to blur imperfections without being drying. The foundation comes in 12 different shade options. The container that the product is in uses a mesh delivery system, which means no mess with this loose powder. Always a plus! 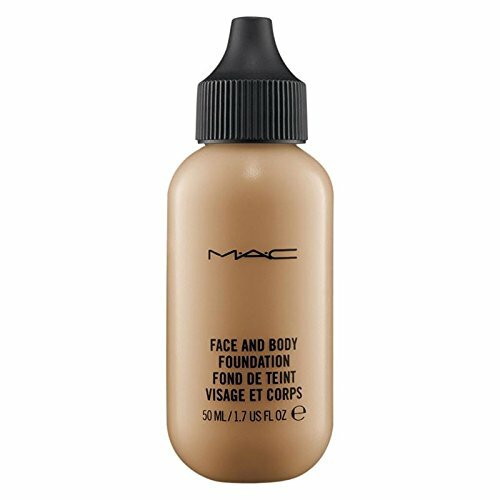 MAC Face and Body foundation is a makeup artist’s best friend. Why? 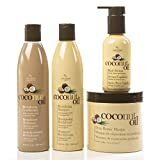 Because it can last through harsh conditions such as hot stage lights, high heat and humidity, and sweating, while still looking natural and flawless. 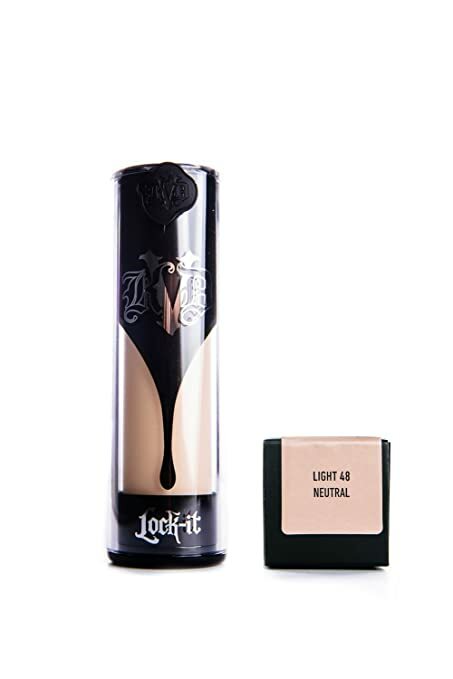 This foundation is very lightweight and provides sheer to medium coverage. It comes in 13 different shades. The formula is water based, meant to be long-wearing, and transfer proof. This is a great option for those with dry skin because it contains a blend of emollients that moisturizes the skin. Although this product is amazing, some people do find it a little hard to work with at first. Check out this video on how to use MAC face and body correctly to blur imperfections, while still maintaining the natural look of skin. Want a kit with multiple shades? Check out this starter pack. 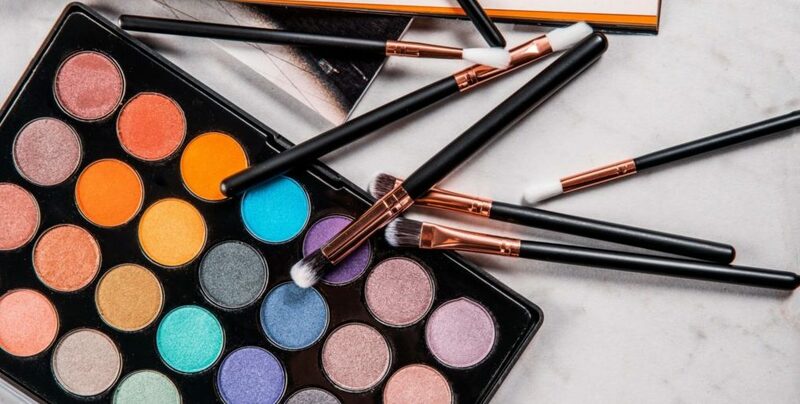 Although the brand Temptu is usually associated with airbrush machines and products, they also have products that can be used without an airbrush. The S/B foundation can be applied with not just the airbrush but also a brush, beauty sponge, or your fingers. This foundation is silicone based and is meant to give you all day wear, even through nasty weather. It was created to be versatile, so each of the 12 shades can have sheer to full coverage, depending on the amount of product that you use. You can also easily mix different shades together to create your perfect match. This CC cream from the drugstore works just as well, if not better, than those found in higher end stores. Physician’s formula delivers a great hydrating product and a light wash of color. It color corrects, brightens, and reflects light to give your skin a flawless appearance. 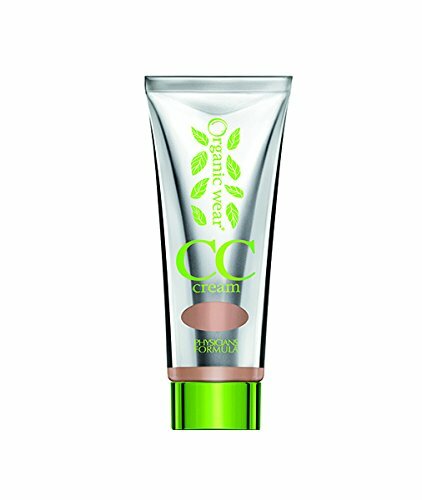 Just don’t let the name fool you, this CC cream is not completely organic, only 70% of the ingredients are actually organic. Also, they only offer two shades, light and light/medium, which does not offer any options for those with darker complexions. This is the perfect combination of skincare and makeup. 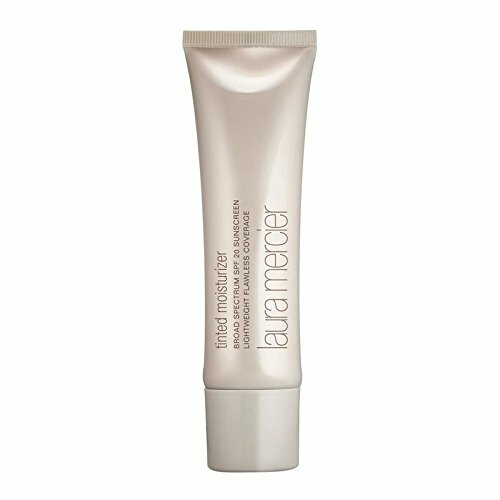 Laura Mercier Tinted Moisturizer softens the appearance of fine lines, wrinkles, and skin imperfections while moisturizing your skin. Since this product is filled with antioxidants and vitamins your skin will be protected from free radicals and properly nourished. It also contains SPF 20. This tinted moisturizer offers long-wearing color and is a great option for all skin types. 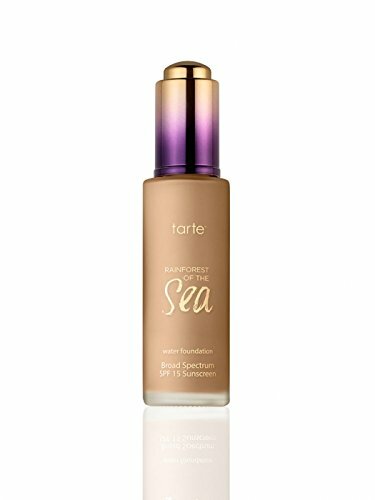 Another foundation from Tarte makes the list, this time a liquid formula. The rainforest of the sea formula is water-based, hydrating, and a great choice for those who are on the drier side. The formula contains 20% water! There are also antioxidant-rich algae to give your skin a boost. It has an SPF of 15 that is non-chemical as well. This foundation can provide enough coverage to make fine lines, acne, and pores disappear while still feeling lightweight. Finding a foundation to last you through the summer months does not have to be an insurmountable task. Use our tips and tricks to find the perfect product for you and apply them properly to last through the warm spring and hot summer months. So, your foundation is ready for the heat and humidity, what about the rest of your makeup? Let us know in the comments below how you keep your makeup from melting away.